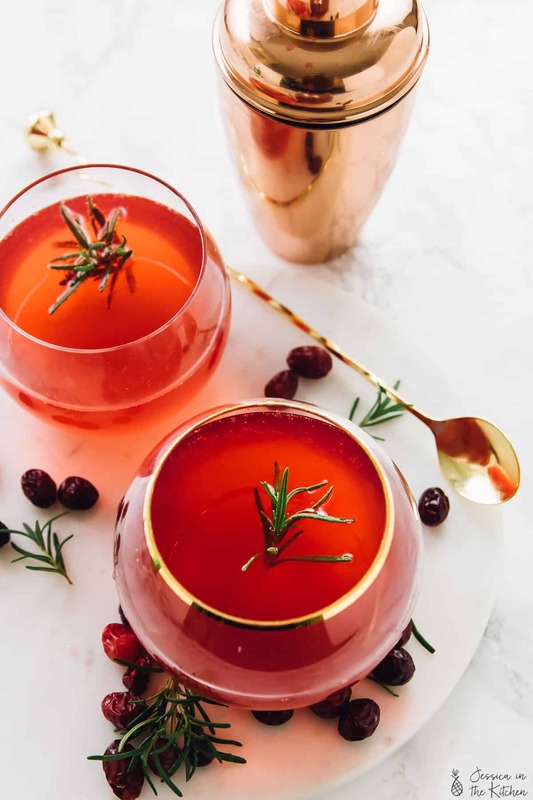 This Winter Cranberry Gin Fizz Cocktail will impress all of your guests! 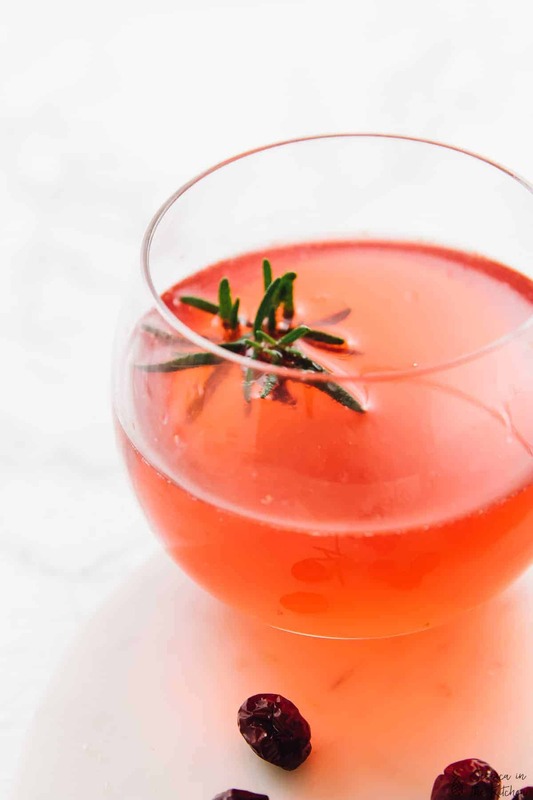 It’s a twist on a classic gin fizz, made with an easy rosemary infused simple syrup and only a few ingredients! Ooh la la! 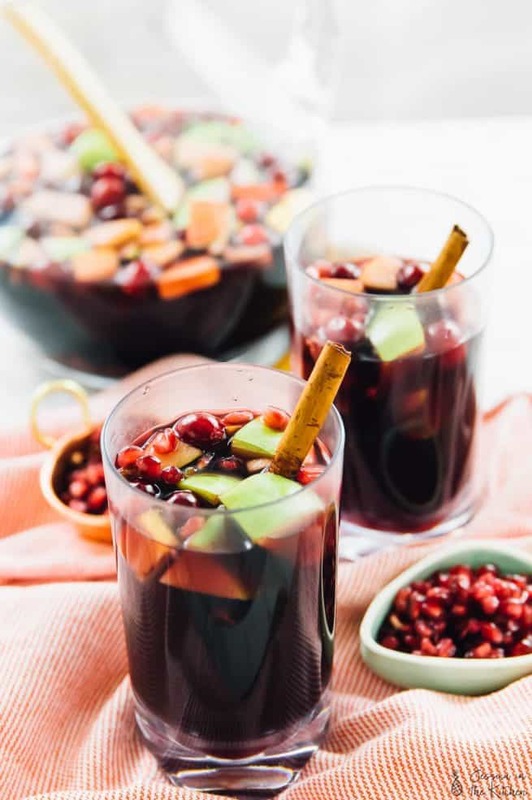 Why hello there, Christmas cocktail magic. What’s Christmas like in your house right now? Is your tree up and decorated? Have you bought a single gift? Are you like me and wondering how it’s already Friday the 8th?! Regardless of where you’re at, this is a cocktail that’ll brighten up your day completely. I wanted to have Christmas in a cup, but in a sophisticated and grown up way. 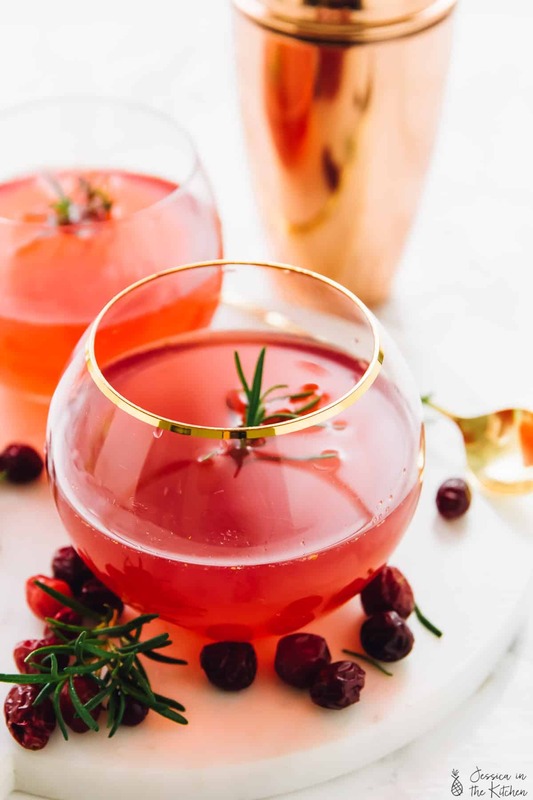 This Winter Cranberry Gin Fizz Cocktail is exactly that. Oh, and the simple syrup is infused with cranberries and rosemary and smells HEAVENLY. 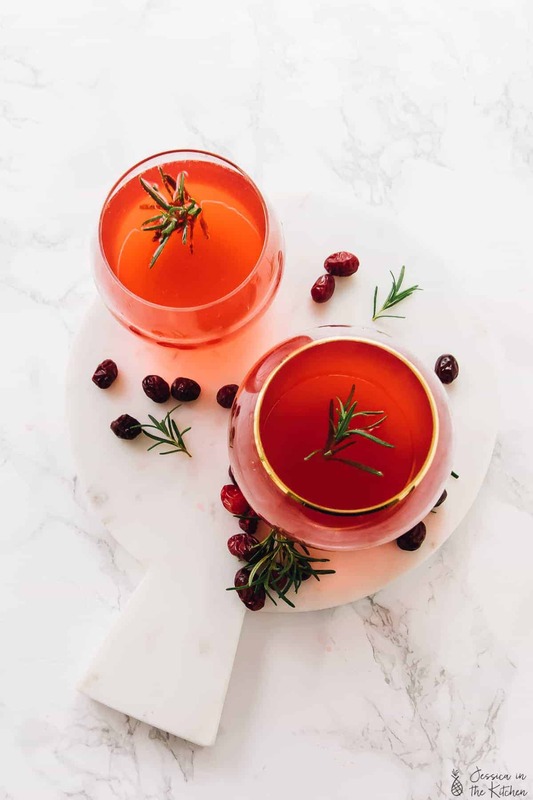 Whether you’re a cocktail newbie like me, or would call yourself an experienced bartender, this easy cocktail will definitely impress your guests. You can make a single drink, or a bunch for friends, with only a few ingredients. First things: like I said above, I’m a cocktail newbie. Now, I’ve made a few sangrias here, and mojitos there, but the one-on-one cocktail has always intimidated me. Then, as if that’s not complicated enough, all those glasses?! Highball vs rock glass vs old-fashioned vs coupe vs double old-fashioned?! Tired of being intimidated, I decided to do a quick and easy 101 lesson on the internet. After only a few articles, I was able to understand what I needed to complete my bar. I ordered some gorgeous glasses, tools and okay okay, a stunning marble cheeseboard (because why not). If I can conquer that, so can you if you’re super new to it. I’m not an expert, but I really enjoyed making this cocktail. It felt like back in my Jessiker Bakes days, filled with pure experimentation. It was FUN, and who doesn’t love fun?! I wanted to make it so easy for you, so I ensured that I only used a few ingredients here. The main contenders are the cranberries, the gin, and the rosemary. 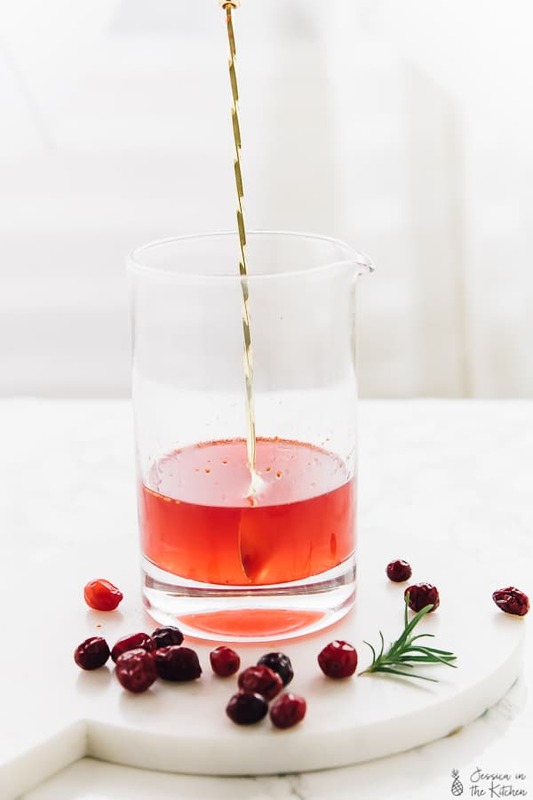 First I made a simple syrup, and infused it with rosemary and cranberries. That added a unique twist to it and a GORGEOUS blush colour. Then, I added even more cranberries and some lime juice (which is always magic) to a cocktail shaker. I think this is a necessary step because it adds even more cranberry flavour, and even more of a pretty colour to this cocktail. It really turns up that winter feel. Then came the gin. I’ve always loved the clean taste of gin, and it goes with so many drinks, so I thought it would be great here. If you end up buying it just for this, know that it won’t go to waste because it can be used in a multitude of cocktails. After some muddling, the gin then goes in, with the divine simple syrup. 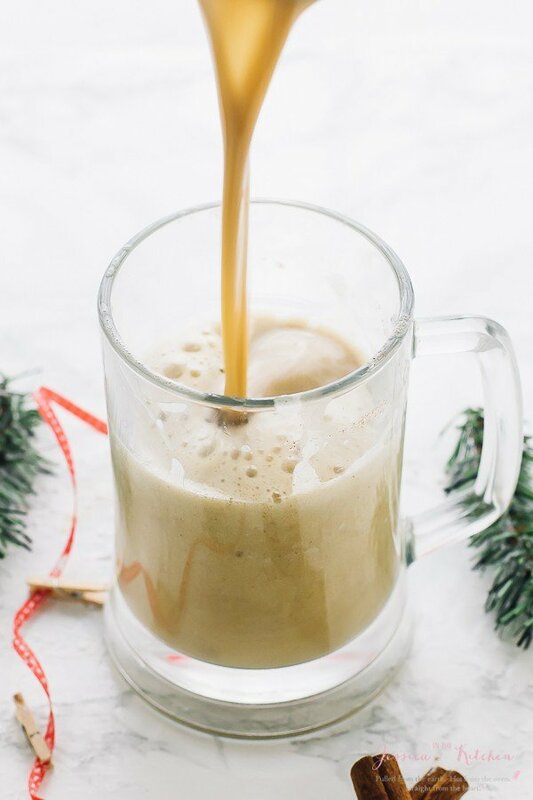 If you’re making this with room tempature ingredients for immediate use, then the ice is a great addition. It cools down the whole drink so quickly. Alternatively, you can make it all ahead of time, chill it, and then when your friends are over, add the ginger beer on top. It adds a nice fizziness and a welcoming complementary taste. Whip this up and enjoy! P.S. I enjoyed 2 ounces of gin per glass, but feel free to use less. Also, I do not have a sweet tooth for drinks, so feel free to add more simple syrup! This by the tree + a Christmas movie = hello weekend. 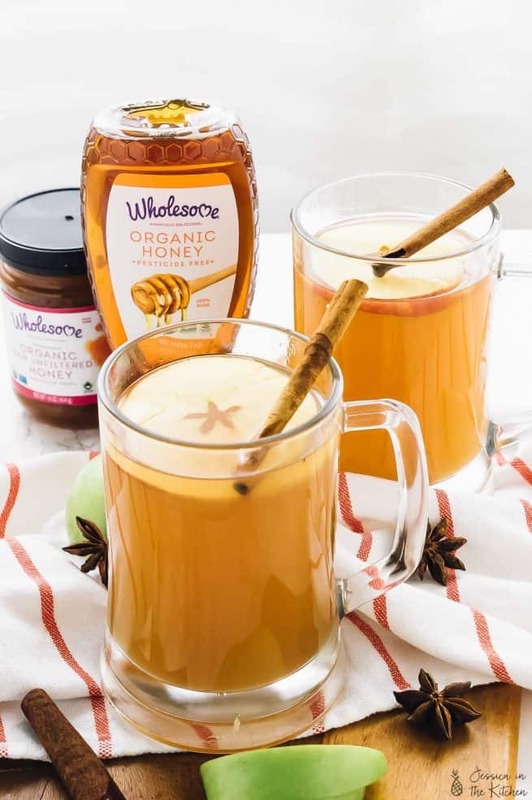 In a small pot, add all the ingredients for the simple syrup, and stir together. Bring the mixture to a boil, and then lower to medium high heat, until sugar is dissolved and the cranberries begin to burst. Remove from the heat, stir again, and allow to cool completely. I like to stick mine in the freezer until I'm ready for it. In a cocktail shaker or a small jar to mix, add the cranberries to the bottom, and the lime juice. Muddle them until completely crushed and juice comes out. Add in the gin, simple syrup and ice (ice is optional). Shake to combine, and then pour out all the liquid contents directly into the glass(es). You can strain the cranberry seeds if preferred. 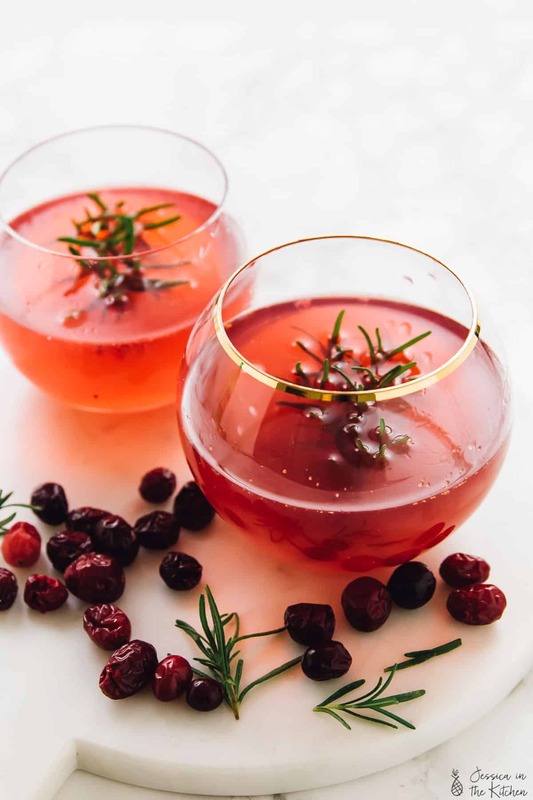 Top with ginger beer, and serve with a sprig of rosemary and some additional cranberries if desired. Enjoy! What gorgeous holiday colours and flavour! Aww thanks so much Angie! !